YES! I’m ready to STOP missing out on the big-ticket income I deserve! I’m excited to sell $500 to $5000 Big Ticket Offers without all the hassle! Give me Big Ticket Email Mojo…so I can start selling big ticket products like clockwork using email and a special order form. I understand with Email Mojo I only need to write at a 6th grade level and I WON’T be required to put on webinars, write long sales letters or be tied to my phone doing strategy sessions. Access to the online version and live training of Big Ticket Email Mojo. You’ll be privy to the ONLY training on the planet that will give you the skills to sell big ticket products using nothing but EMAIL and a special order form. Discover The Missing Piece to Selling Big Ticket Without Hassle: You’ll get started making sales right away! And when you see the ONE missing piece to selling $500, $1000, $2000 and $5000 offers or more using ONLY email you may feel unstoppable. You can sell your own offer or someone else’s. Yes, Big Ticket Email Mojo totally works for affiliate offers too! Discover Your Big-Ticket Email Mojo Offer: If you’ve already got a lower ticket offer…You’ll see how to raise your offer to a Big Ticket price…AND have it sell EASIER than ever before. IMPORTANT: You MUST be selling something that is good and solves a problem for someone. But if you meet those requirements, the OFFER MOJO training creates buying frenzies and will have you slapping the “sold out” sticker on your big ticket offers faster and simpler than you may have ever thought possible. Create Buying Frenzies: With the “AHA!” Based Email Mojo Process you’ll own what could almost be called magic when it comes to persuading people to open their wallets AND hearts when they read your email without being a great writer and WITHOUT delivering a lot of content. This is the heart of EMAIL MOJO. And is a skill that can never be taken away from you even if email disappears. Many clients use this one of a kind process in their landing pages, Facebook posts, advertorials, ads and more. Mother Nature’s RAPID Bonding Sequence: Your list can’t “hate you”, but if they are “unresponsive” don’t worry, Bonding Mojo warms them up to you again. You’ll find out Mother Nature herself has the most powerful bonding mojo in existence and you’ll see how easy it is to tap into this bonding process so you and your email subscribers benefit. AND if you are buying cold traffic and putting them on your email list, Bonding Mojo heats them up like a microwave heats and pops popcorn. BRING IN CASH WINDFALLS & Launch your first 10 to 14 day Rainmaker Campaign: You’ll start making sales in week one, but when you get to this training, you’ll start your 10-14 day Rainmaker campaign! Nothing against copywriters, but fancy techniques aren’t needed. You’ll be using simple 6th grade level writing here along with your secret weapon: The “AHA!” Based Email Mojo Process. You’ll get help at every step along the way with the live training calls and support area. How comforting is it that the RainMaker Email Campaign is so proven we can closely predict the amount of income from the 10 – 14 days? EXAMPLE: You’ve got 1000 opens and a $1000 offer, so you’d multiply 1000 times $35. So, we’d expect, based on past results, to pull in roughly $35,000 for the campaign. FYI: G3 means GIMME! GIMME! GIMME! What to do if your campaign doesn’t go well: This may be the MOST important training in the course because most people GUESS when a campaign is NOT converting. You will never have to guess again. This is why Email Mojo students see PREDICTABLE results and income. Take the guess work out and your campaigns will never be hit or miss again. Rainmaker Email Campaigns bring in cash like clockwork because we do NOT GUESS! 1. What people are actually buying 2. Why they are not converting. It’s simple to FIX campaigns when you know EXACTLY why people aren’t buying at the POINT OF PURCHASE. This is NOT about surveys. Surveys can help, but they do NOT happen at the point of purchase and therefore aren’t 1/10th as helpful as what you’ll start using. With your access to Big Ticket Email Mojo you’re also getting CHAT MOJO which is the only training available about how to STOP GUESSING why people aren’t buying so you can fix it and profit. If you’re thinking, BOY this could be helpful outside of email, you are EXACTLY right. Dozens of Templates, Examples And Weekly FUNwork: As you’re moving along through each module, you’ll be getting access to dozens of profitable campaigns, examples and templates…You’ll use these templates and examples again and again to multiply your investment in the course. You’ll also get weekly FUNwork assignments that ensure you are moving forward and gaining the skills to get your own Rainmaker Campaign up and running. BONUS: Passive Cashflow Mojo: ($6,000 Value) Big $20,000 to $40,000 paydays running Rainmaker Campaigns are nice, but act now and you’ll also get Passive Cash Flow Mojo… so you can start selling continuity offers…tacking on secure, residual income streams to your business whenever you want. There’s a slight tweak to how you sell recurring programs successfully over the long-term that nobody teaches. But, only with this training, you’ll discover how to keep your offer new and fresh, and the buying frenzy going and going and going. Using Email Mojo it’s not unheard of to convert 20% to 40% of all openers on an email list over time. 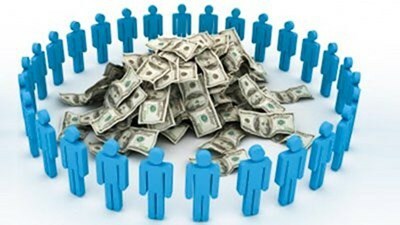 Imagine you get 1000 opens and convert 30% to a $100 a month program. That’s $30,000 a month locked up in your list you’re likely not getting now. I know $30,000 a month doesn’t go as far as it used to, but even after taxes and expenses that’s a lot of enjoyment left on the table. PLUS…today it’s never been easier to tap into SOMEONE ELSE’S continuity program and never need deliver the service yourself. You discover how when you act today. BONUS: Fence-Tipper Templates And Training: (Value: $10,000) Your income may never be the same after you drop these customizable “fence tipper” emails into your autoresponder. You’re sitting back…watching new sales coming in…all from the people that were stuck right on the edge of buying – fence sitters! The Fence-Tippers you’re about to get your hands on will gently and lovingly move the fence sitters off the fence and inspire people to buy your products and services. You’ll thank yourself for making this investment every time you pull out your Fence-Tippers and crank out more revenue in one email than most people make in a month. Your Fence-Tippers alone will return your investment many times over. BONUS: Outsource your email writing access & template: (Priceless.) Because Big Ticket Email Mojo doesn’t require the writing skills of Shakespeare, you can simply have somebody interview you while you’re recording and give the interview to your email writer. You’re getting access to the interview process and questions Big Mojo Promotions uses when we write for clients.